Are High-performance Dog Foods Worth it? 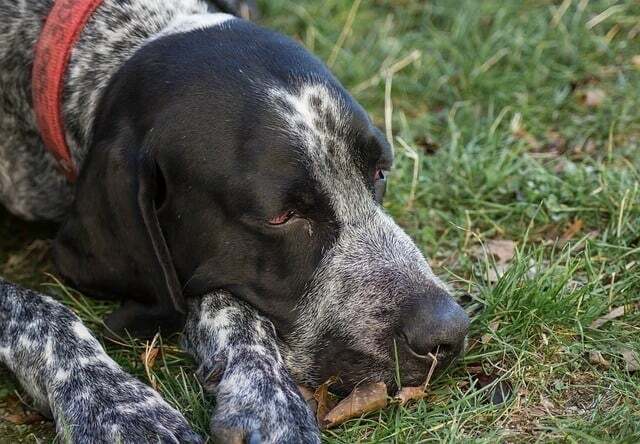 When Should you Feed a Hunting Dog? Should I Feed Them Before Hunting? Hunting dogs aren’t your usual pets. These have high-energy levels and have some special requirements. Because they’re so different from others, even those of the same breed, they require special care and a precise dietary plan. 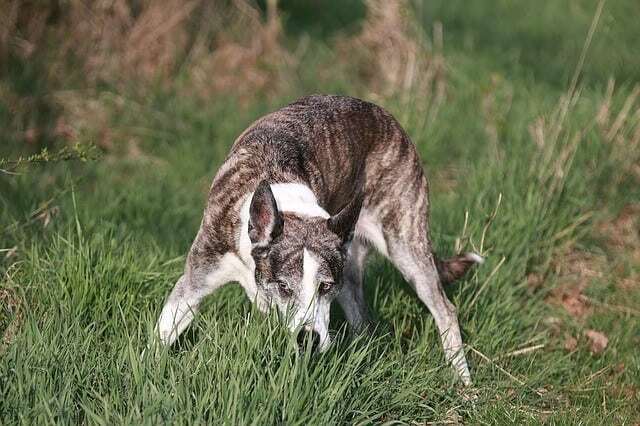 Finding the best food for your hound is crucial because poor diet could result in injuries and generally bad health. Choosing the right type of food takes some research and time, but it’s essential for your pup. It’s best if you went for those that digest slowly because that kind of food will keep your dog energized. Look for a quality combination of carbohydrates, protein, and fat. 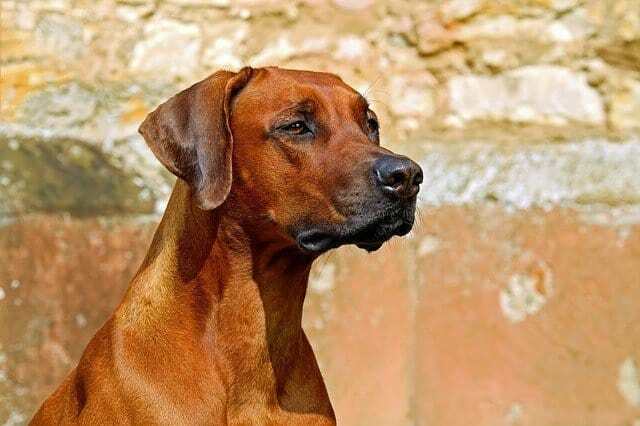 Each hunting dog is different, and its diet should depend on the number of its working hours per day. How to find what fits your pet? 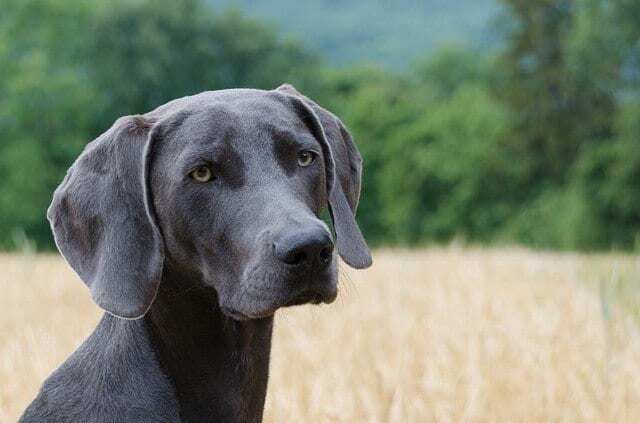 Continue reading to our Buyer’s Guide and reviews to find the crucial information about the best hunting dog food on the market. As we mentioned, every individual is different, and while one loves a certain food, others will hate it. 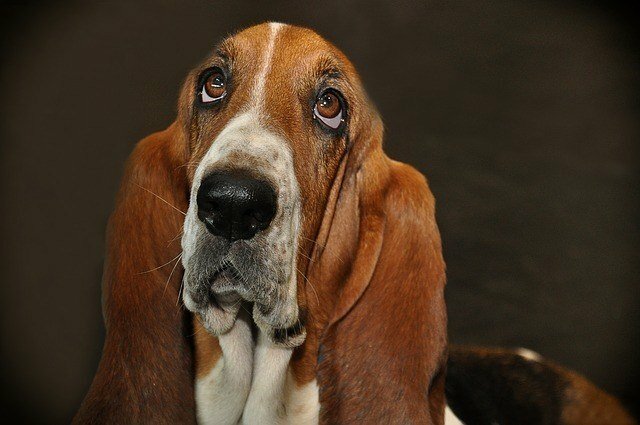 Also, it often happens that hounds eat the same meal every day and then just refuse to eat it all of a sudden. No meat by-products! Avoid meat by-products and go with whole meat or food that has meat as its main ingredient. Food that has meat by-products usually doesn’t have any particular type of meat named and probably contains bones as well. No fillers or grains! If you do opt for grains, make sure they are whole grains. You want to stay away from all gluten and processed products. It’s recommended you avoid corn and wheat and choose barley and rice instead. Look for complete nutrition! You want to feed your pup a full meal especially if you’re using the same food all the time. By choosing the food that’s been approved by the Association of American Feed Control Officials, you’re getting the best quality. No preservatives! If there are preservatives, they should be natural. This includes tocopherols (vitamin E) and ascorbate (vitamin C). Avoid ingredients such as ethoxyquin, BHT and BHA. Raw, canned or dry? All the types have their pros and cons. 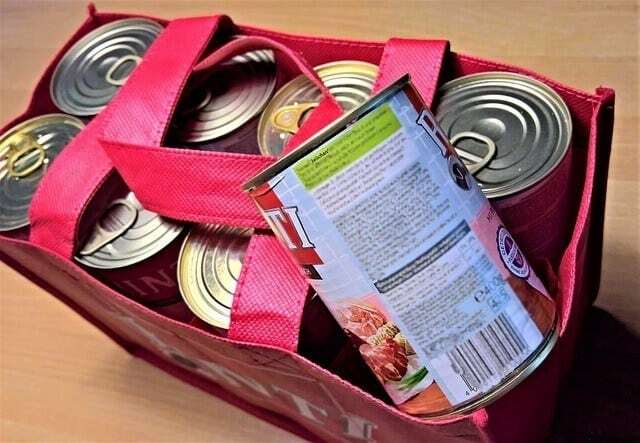 Dry food is the most affordable and is easier to store while canned is more hydrating and usually has fewer preservatives. Raw food is also an option you can prepare yourself or buy frozen. Consider pet food safety! Unless you’re cooking food, make sure you’re getting the best quality. Check up on the manufacturer and the brand to see if they provide what your pup needs. The high price of the meal isn’t always a guarantee of quality so don’t let that drive you. Hunting dogs need more energy than traditional pets so they’ll have to eat more calories during the day. 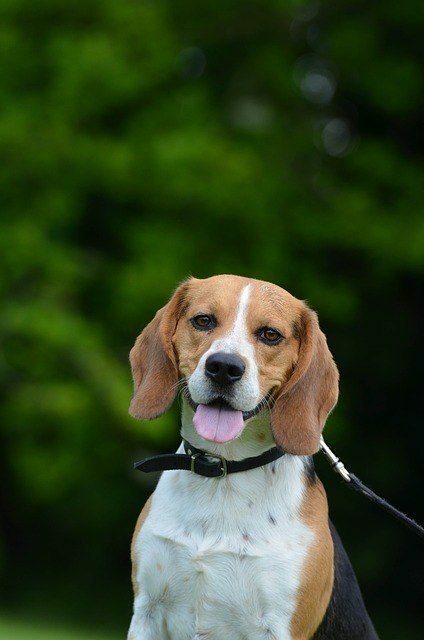 The best way to determine the exact number of calories your hound should intake is to consider its activity levels. How often does you pup hunt? If it’s often, you want to make sure that it’s getting enough calories to support its high energy levels. An insufficient number of calories means a bigger portion which isn’t always a good idea especially for some breeds. Most food for hunting hounds has a chart on its packaging to help you understand the right way you should feed the hound throughout the day. Fat is by far the best source of energy in these dogs. It gives them endurance which is what they need the most. Because they don’t process fat the same way we do, canines need more of it as well. The diet should be rich in fat depending on how active the hound is. It’s not the same if it’s hunting every other day or once or twice a month. Carbohydrates are an equally important matter that shouldn’t be overlooked. 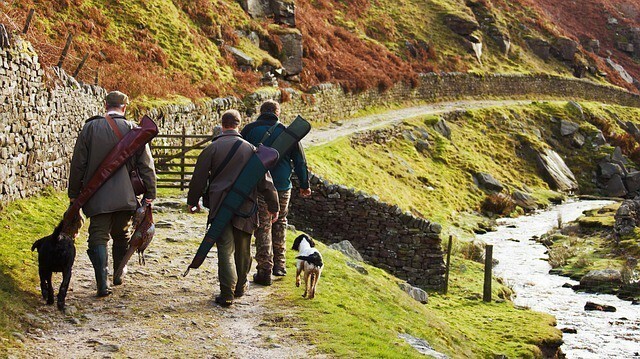 Although many people think they’re bad for hunting hounds, not all of them are. If the diet is well-balanced, you can’t go wrong with a few complex carbs. While carbs aren’t necessarily bad, you should pay particular attention to the source. Your canine’s blood sugar highly depends on this, so choose only sweet potato and brown rice as the sources of carbs. Anything that has grains should be avoided. 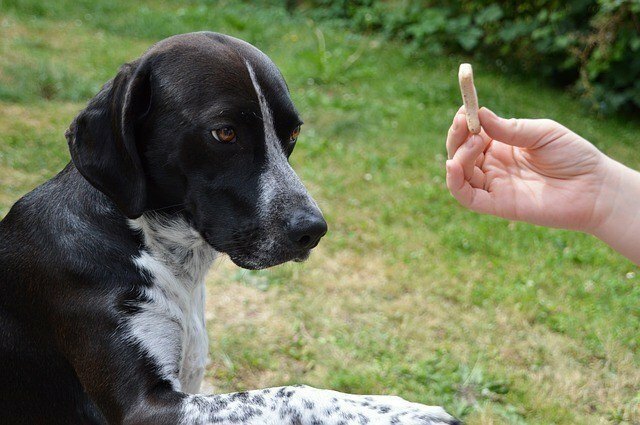 As you already know, and we’ve mentioned it above, there are three types of food you can feed your canine. You can choose between canned, dry or raw depending on your preference, the dog’s needs, and several other factors. Raw food is a bit more complex than the other two because it takes time to prepare. This kind of diet requires lots of effort, which is why we’ll only talk about the two more convenient options: canned, and dry. These two have benefits and setbacks that make them as different from one another. In most cases, the choice is entirely up to you and your pet’s preferences. Canned food is usually high in protein and dogs tend to love it. It also has fewer carbs which is what makes them ideal for hunting dogs. This kind of food contains fewer preservatives because the cans work as preservatives on their own. It’s easy to eat and digest, and in most cases, it doesn’t cause bloating. Still, don’t forget to read the labels. Some brands include all kinds of ingredients and jellies that can be either of no benefit or actually harmful to your pet. Kibbles are usually more affordable and easier to store. In most cases, dry food has a better nutritional value which is something you should definitely consider if your pet is hunting a few days a week. However, make sure the dog has fresh water at all times because the dryness of these meals demands more water intake. By mixing quality dry with wet food, you get the best of both worlds. Consider all the ingredients carefully and combine the two a few times a week. This will prevent your pup from getting used to just one type of food and provide the best from both types. This product from Blue’s Wilderness product line is inspired by the diet of wolves. Wolves, by the way, are some of the greatest hunters. This recipe is excellent for building endurance in your puppy, which is vital to becoming a dependable hunting canine. The formula uses deboned chicken, which is not only delicious but a rich source of protein. Also, the recipe features chicken and turkey meal, and egg, which is a solid building block for healthy muscles. It is also grain-free, which is excellent for puppies with sensitive stomachs. This bag of kibble features essential vitamins like calcium and phosphorous for healthy bone development. More importantly, this product includes DHA, which is an essential fatty acid found in the mother’s milk of dogs. DHA is vital for cognitive and retinal function, and development. Other fatty acids included are Omega 3 and 6. These fatty acids promote a healthy and shiny coat. Some puppies may be sensitive or allergic to chicken or poultry, so keep an eye on your young pup to make sure they don’t get sick. Lastly, this dog food is a solid choice for all breed sizes, and for canines with specific diets. For example, if your dog needs food that is high in protein, grain-free, or food that is free of corn, wheat, or soy. If you have more than just one hunting dog, check out this holistic dry food. It’s suitable for hunting dogs of all sizes and breeds. It’s made of 16 nutrient-packed superfoods that provide the best diet for your pets. This one is low in carbohydrates and has a moderate level of calories. Still, it’s packed with protein and fiber and is ideal for gastrointestinal health. The formula has Omega 3 and 6 fatty acids that help the dog’s skin, coat, and overall immune system. Plus, there are several recipes to choose from, and they’re all easy for your dog to adjust to. You can choose between salmon and krill meal, duck and buffalo. The food comes in 4lbs and 22lb bags. It’s grain-free and doesn’t contain any preservatives, artificial colors, soy, wheat or corn. With roasted bison as its first ingredient, Taste of the Wild is among the best food for performance dogs. 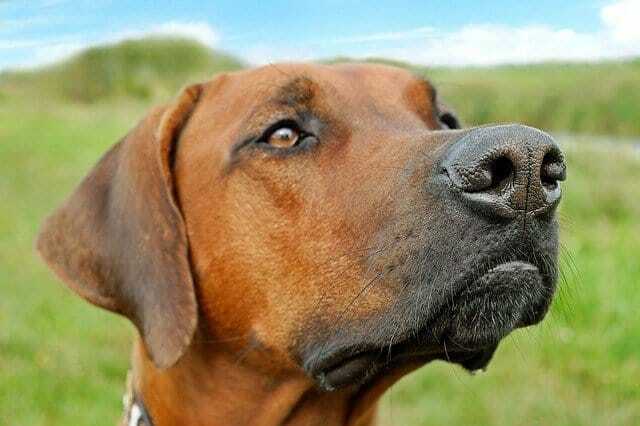 It has optimal levels of acid, protein and everything a hound needs for strong and lean muscles. The high-protein ingredients are mixed with minerals and vitamins. The food also has wholesome fruits and vegetables as superfoods. This is ideal for hard-working dogs. Its blend of fatty acids and antioxidants makes your pet’s fur shiny and skin healthy. All of the ingredients come from trusted and sustainable sources. The food doesn’t contain any wheat, corn, grain, soy, artificial flavors, colors, fillers, and preservatives. It’s completely natural and highly digestible which makes it suitable for most species. It might be a bit too heavy for dogs with a sensitive stomach, so make sure to introduce the food to them slowly. If your pet is training a few times a week, you need to consider foods that can help with achieving the best results. Purina Pro Plan Sport Formula comes in many different package sizes, so you get to choose from the smallest to the largest. It’s a 30/20 formula which means it contains 30% of protein and 20% of fat. This helps support metabolic needs and build lean muscles. The amino acids nourish muscles especially if you feed the dog immediately after the exercise. Purina also added glucosamine and EPA for better mobility and joint help. You can choose between turkey, salmon and rice, and chicken. None of these options contains artificial colors, flavors, preservatives, grains, soy, wheat or corn. Orijen is a well-known brand that many dog owners turn to for its quality and taste. It features real ingredients, real meat, vegetables and fruits, and no wheat, grain fillers, and artificial ingredients. Their original food contains deboned chicken, whole eggs, deboned turkey, flounder, mackerel, etc. It’s rich in vitamins, minerals, and carbohydrates which is ideal for performance dogs. It comes in a package of 25lb and 13lb. The food is rich in protein, so it’s only suitable for highly active dogs that spend their days running and hunting. It’s a tasty formula and dogs usually don’t have any problems with it. If it’s new for your pup, you should introduce the food slowly, mixing it with the old dry kibbles. You may or may not know, but puppies shouldn’t eat food for adult dogs, and vice versa. Both are made specifically for a certain age, and they differ in levels of protein, carbs, acids, and fats. The difference is that puppies need more protein, minerals, and fats. They also need more calories than adult dogs because they’re usually more active. Large breed puppies tend to grow rapidly and are at risk of developing orthopedic diseases. Their food should have less fat and calcium. For this reason, puppies of any hunting breed require special kind of food that’s in most cases not suitable for adults. 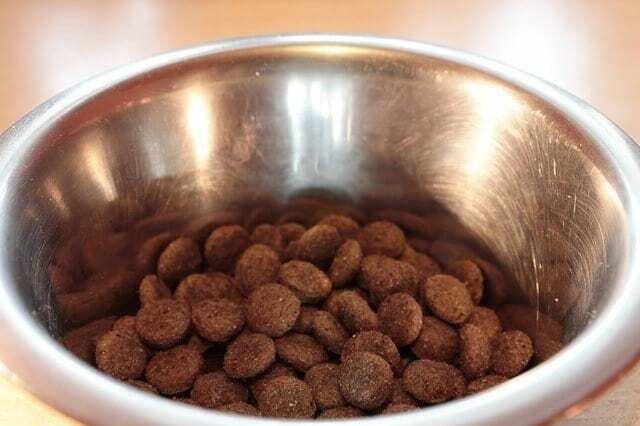 These small bites come in two kibble sizes depending on the breed you have. Some larger puppies might love larger kibbles and vice versa. The food is recommended for pups up to one year old. It’s also suitable for nursing or pregnant moms. It contains natural DHA from fish oil as well as optimal mineral levels that support eye, brain, and skeletal development. The diet is well-balanced and easy to digest. All the ingredients are natural and high-quality, so there are no flavors, preservatives, or colors. The formula has vitamins, amino acids, minerals and natural oils that support the immune system. It contains chicken, pork, parley, carrots, cranberries, apples, broccoli, and other fresh ingredients. It’s not grain-free but has grains such as wheat and corn. The amounts are small and help support your pup’s high energy levels. This is a formula suitable for both adults and puppies so make sure to watch how your pet reacts to it. It’s holistic and has 32% of protein. The formula is naturally preserved and free of wheat and corn. It contains algae, which is a stable and sustainable ingredient that’s a perfect source of omega 3 fatty acids. Annameat is high in fats and helps maintain lean muscle mass. 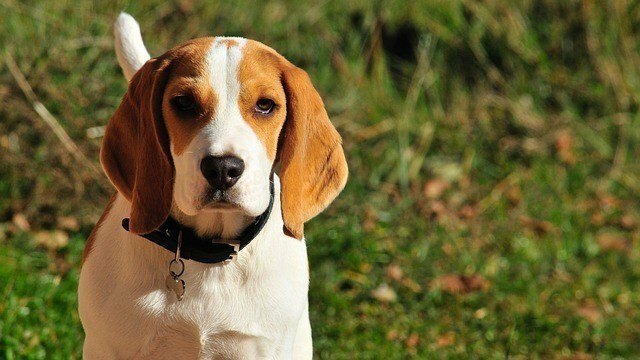 It supports cognitive function in both puppies and adult hunting hounds. The DHA in it supports brain development and is ideal for eyes and bones of your puppy as well. Its main ingredient is chicken, and the formula doesn’t have any artificial colors, flavors or preservatives. Other ingredients are brown rice, dried eggs, herring meal, brewers dried yeast, flax seed, carrot, celery, parsley, spinach, and other fruits and veggies. The vegetable in the formula might be too much for a sensitive stomach. This is another convenient option if you want to feed puppies and adults from the same bag. It contains ingredients suitable for all life stages and is one of the few formulas on the market that’s suitable for both young and adults. The formula is grain-free, balanced and ideal for growing puppies and performance adults that are 70lbs. or more. It contains 33% of protein, and 75% of beef, pork, chicken, and fish. All of the other ingredients are also natural and come from sustainable sources. It’s rich in vegetables such as sweet potato, peas, and tomato. It also contains minerals, vitamins and fatty acids required for your pup’s healthy growth. Make sure to consult the feeding chart that’s in the back of the package. All dogs have different needs, so it’s essential you follow the recommended portions. High-performance food is specially made for working and athletic dogs. It’s for the animals that need to be active and alert for longer periods during the day, several days a week. This kind of diet helps build muscle mass and sustain energy. It’s ideal for speeding up recovery time after a working day. High-performance diet has more fat and protein than normal dog food. It’s because working dogs need more of it to perform as well. These diets are specially made by vets, nutritionists, and scientists to make sure dogs perform at their very best. The formula should also contain omega oils, calcium, and minerals for joints, bones and overall health. Regular dog food is made for canines that run a bit but spend most of their day napping. Still, keep in mind that every dog is different and they all require special care and proper nutrition. 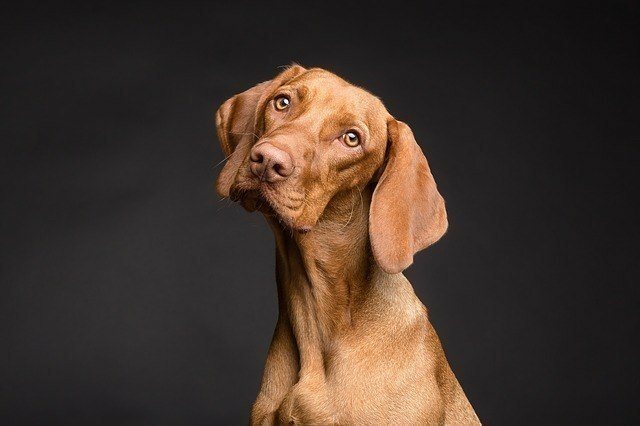 In most cases, regular dog food helps pups with healthy skin, teeth, and digestion while performance food helps muscle repair and energy levels. Feeding a normal food to your hunting dog would result in insufficient energy, slow recovery time, and minimal muscle mass. Normal dogs usually get obese if you feed them high-performance foods. It is because you’re paying for quality of ingredients. Cheaper foods usually use fillers and by-products that are in no way helpful to your pups’ energy levels and immune system. Real meat, veggies, fruits, vitamins, and minerals in high-performance formulas always cost a bit more. Plus, a single cup of quality food is equal to two or three cups of a cheaper alternative. It’s proven that dogs perform better on an empty stomach than they do if they’ve eaten in the previous four hours. Don’t feed the hounds before you go out hunting because there’s a difference to how they burn carbs versus fat. Your dog’s body is more efficient at burning fat if the last meal was about 17 hours ago. If the pup ate about 6 hours ago, the body burns carbohydrates. This means your dog will end up tired sooner. The best is you feed your pet once a day, late in the afternoon or right after you return from hunting. No. Feeding your dog before hunting would result in burning of carbohydrates. This means the canine will get tired lots sooner than usual. Hopefully, we helped you understand the difference between regular food and that for high-performance, hunting dogs. 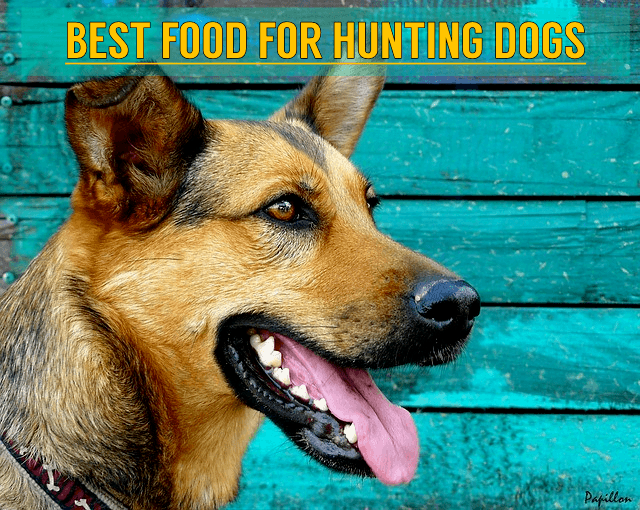 These top-rated foods for hunting dogs are the most high-quality options suitable for different life stages and breeds. It’s important you pay attention to the most critical factors that are the main ingredients, protein levels and suggested portion sizes. Keep in mind that all dogs are different and they require special care. Diet and nutrition should be carefully planned and fed at a precise time so your canine can achieve the very best results.